Hill Country views, Ag Valuation, hunting and a wet weather creek bed… this unique property has it all! 15+ acres with large Oaks, multiple building sites, all with views. Gated subdivision less than a mile from The Junction (of RR 12 and 32). Restrictions allow for site built homes, hunting (safely) and livestock. Game you’ll see include: Black Buck Antelope, White Tail, Dove and Turkey. Current taxes are less than $25 per year! Weekend get away or build your new home…this property is a MUST SEE! Directions: From Wimberley head south on RR 12 to “The Junction” (intersection RR 12 & RR 32. Go west on RR 32 for approximately 1/2 mile. Look for Hills of Texas real estate sign and Private Road/Rancho Ladera street sign on right. Property is second lot on left. Your dream home awaits! 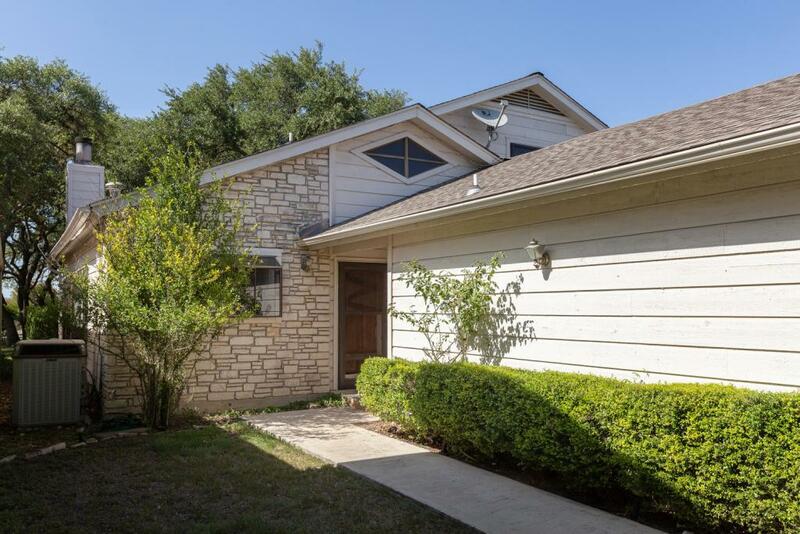 Amazing property with an easy commute to Austin, well appointed home, separate guest house, heated pool and spa on over 1.6 acres in a beautiful setting and highly acclaimed Wimberley ISD. Master suite has a large soaking tub, separate shower, sitting area and dual closets. Guesthouse has a full bedroom, loft bedroom area, kitchenette and separate utility area. Beautiful, heated pool with fieldstone surround and heated spa. Plenty of privacy in a well restricted subdivision. Directions: From Wimberley go east on FM 3237. At FM 150 turn left (Hays City Store at corner). Take the 3rd street on the left, Yorks Xing. Veer left on Canna Lily Circle. Home is first on the right.